Subversion Server on Raspberry Pi, part 3 – Carpe Diem Systems Ltd. In parts 1 and 2 I documented how I setup a Raspberry Pi to provide Internet-based access to a Subversion server. The task here is to write a Python script that creates a hot copy of a repository, zips it, and sends to an appropriate place for archiving. 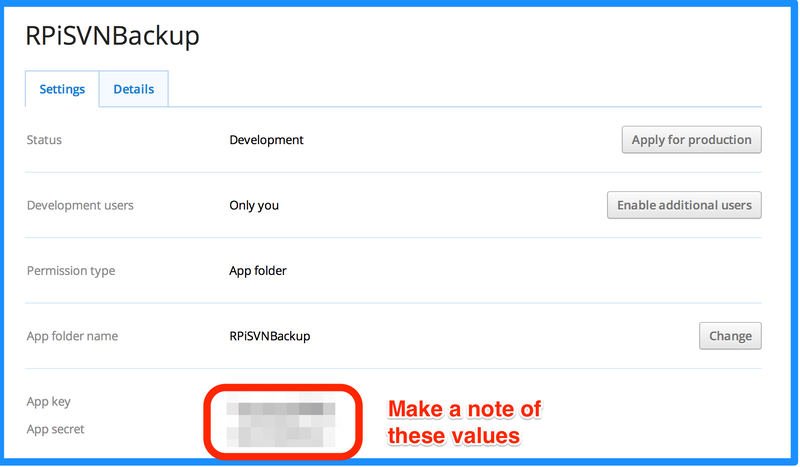 Note: after writing my own scripts I found some example scripts including hot-backup.py. This has more goodies than mine, including cleaning up excess (old) backups. The #! text on the first line is called the shebang and tells the shell what type of interpreter to use for the rest of the script. We’ll need to make system calls from the Python script – this site has lots of cool examples. 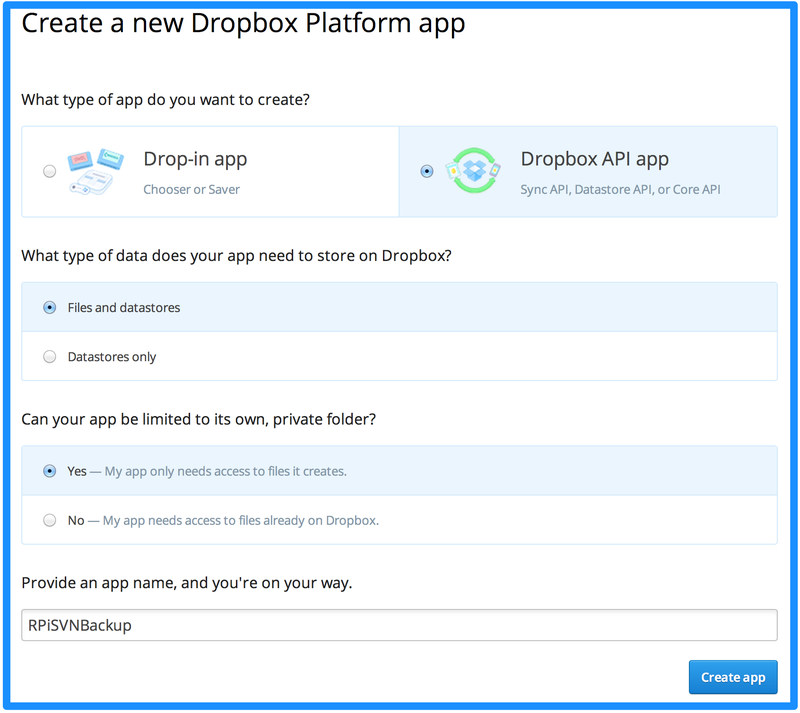 Note: using the Dropbox API requires a Dropbox account. Connecting to www.dropbox.com (www.dropbox.com)|199.47.217.170|:443... connected. A temporary script that requires operator interaction to generate a Dropbox access code. This access code will be used by the main script for authentication and is the key to writing non-interactive Dropbox scripts. A backup script that provides non-interactive repository archiving (via a hotcopy), compression, Dropbox upload, and caretaking. First the access token: create a new script, db_get_access_token.py (and insert the actual app_key and app_secret strings). (For my scripts I created a new folder, svn_pi, underneath the home folder). Copy the code and paste into the terminal session prompt: ‘linked account‘. If everything works as expected the ‘access token‘ information will be displayed. Otherwise something similar to dropbox.rest.ErrorResponse:  u'invalid_grant' will be displayed. 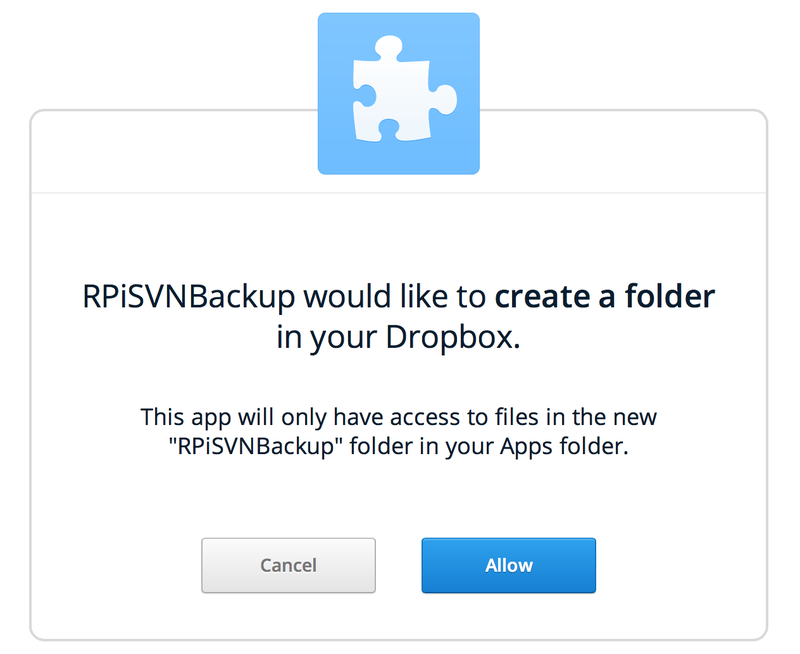 Copy the access token string – this is needed to allow dropbox file transfers without operator interaction. 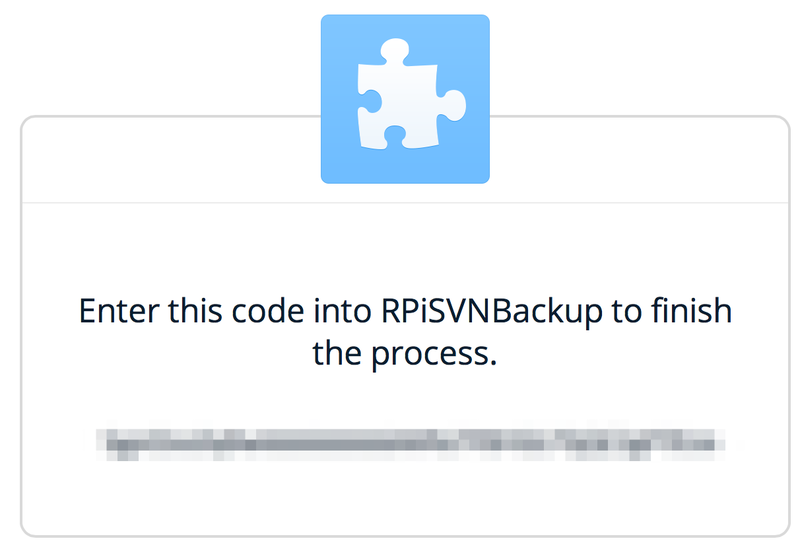 Then create the main backup script, svn_hotcopy_db.py. This will process all the repositories, for each one creating a hot copy, compressing it to a zip file, coping the zip to Dropbox, then finally cleaning up. Replace any *** string sections in the script with the appropriate information before running! 0 2 * * *: Run at 02:00 every day.